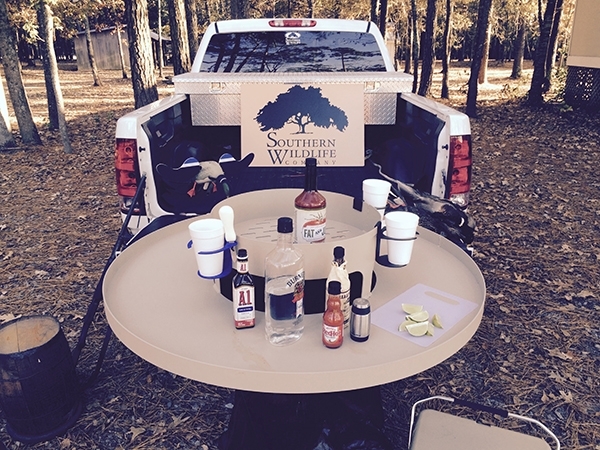 Are you ready to unveil the awesomeness of the Oyster table at the next ball game or trip to the farm? The Hitch Mount for the shucking table will get it done! This jewel folds up nicely to carry to the game or to the duck pond overlook for cocktail hour! Is this hitch mount for the Oyster Table over the top? Sure, but isn't that the point? Fits into standard receiver hitch. Powder Coated Carbon Steel. Made in the USA. 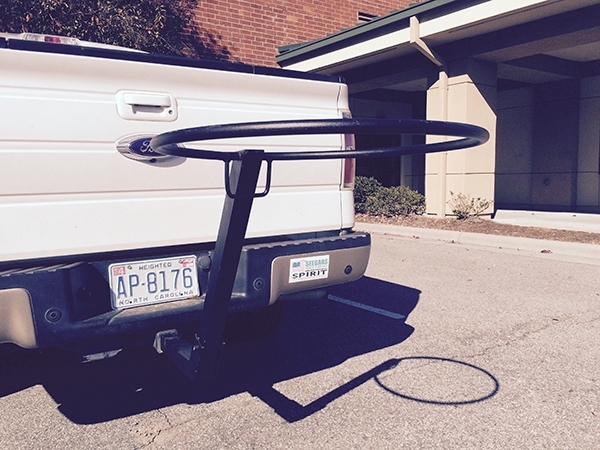 The oyster table hitch mount from Southern Wildlife Company is a great accessory for any truck. 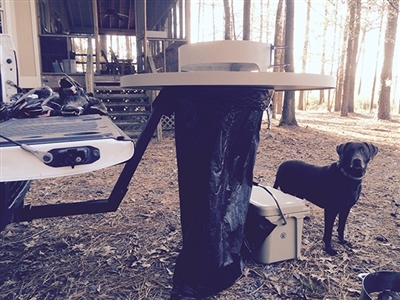 Attach the table hitch at your next barbeque or tailgate and slide a shucking table on top for cocktails, bbq, oysters, or even fried chicken.